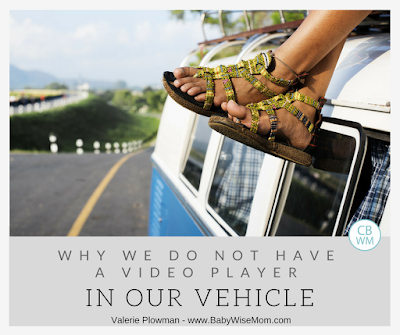 In this post: Reasons we do not have a DVD or video player in our family vehicle. I love not having television/movies/tech permanently in our vehicle. When we purchased our [van] (not a vehicle I am bragging about..I still haven’t gotten over it 3.5 years later. I know. Most of you love yours), I initially wanted a DVD player in it. Our Denali didn’t have a DVD or Video player and I really wanted to have one in this vehicle. As we looked at [vans], however, I changed my mind. I was afraid it would turn into a crutch I relied on too readily. I reasoned that we can easily bring along our Kindles or iPad for the long drives when we really want technology to be part of the drive. I didn’t want it to be a thing when we drove around town. I am so glad I made that choice! The car is a place where a lot of great conversation can happen if the environment is there for it. As my children get older, the car conversations become more and more invaluable. Parents of older kids all agree that car talks are among the best talks they have with their kids. I think the triad communication theory is at work. You aren’t able to stare your child down, so it feels more comfortable. You are both able to focus on an activity (the driving). It is great. When I was growing up, we drove 4 hours to visit my grandparents quite frequently. All of those years, I never had technology. I figured if I could do that (in the snow, uphill, both ways), my kids can handle a 20 minute drive through town with nothing but their minds, each other, and their amazing parents to entertain them. Some of my favorite memories from childhood and our best inside family jokes stem from those long drives (and other, longer drives). When we take really long drives, we definitely will take along technology to help entertain the children. 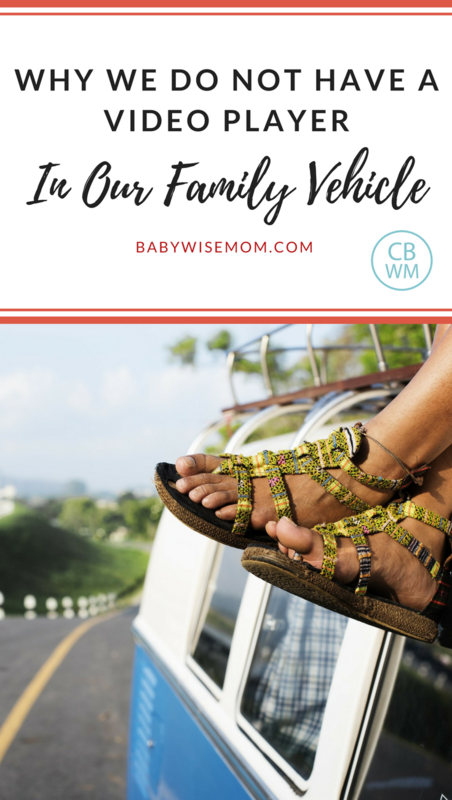 While I took long drives as a child without technology and survived, just because I didn’t have something as a child doesn’t mean my children can’t ever. There are plenty of things that weren’t invented when I was a child my children are able to enjoy today. In our modern day of inexpensive tablets, you can get a tablet for each child and it will cost less than the system in your vehicle. There is also a money-saving aspect to not having a media player installed into your vehicle. It saves a lot of money! In our modern world, you can bring along an array of tablets for children when you want the technology in the car. We figured we could buy every person in the family a Kindle Fire for cheaper than we could install an entertainment system in the van. We are not alone in this conclusion. Read more about if it is worth the expense here. There are definitely people who love having a DVD player in their vehicle. Some love it because it is an easy way to keep a toddler quiet in the car while a baby is sleeping. It is also very convenient to have the tech already installed in your vehicle. It is there for any emergency that might arise. Families can put boundaries and rules on the use of the DVD player. If you never use it driving around town, the child simply knows it isn’t an option. If the child asks to watch something while driving around town, you respond with a no and they know it is a no. This is comforting because most new family-sized vehicles in our modern age will come with a video player automatically. You can have one and still have boundaries. Another reason people enjoy having a video player in their vehicle is because their little ones are too small to work something like a tablet. Having a video player just makes sense for them because the children don’t have to be capable of running it. Always remember you are the parent. You decide if there is a video player or not. You decide when tech can be used in the vehicle and when it is off limits. Setting limits is wise for your long-term parenting. Start as you mean to go on. If you turn the vehicle into a place where everyone plus in to tech and out of each other, you will most likely have preteens and teens who don’t visit with you on car rides. There is great value in what can be talked about in the vehicle. Whatever your rules and setup, be sure you are willing and able to go no-tech with your older children.